The first race of the last day at Aintree comes in the Grade 3 Gaskells Handicap Hurdle over 3 miles 1/2 furlong and we have gone for the First Drift & Theclockisticking. First Drift for trainer Ben Case has put in some smart performances this season that has set him up nicely for this contest on Saturday, especially his last outing where he went on to score nicely at Newbury in a Class 3. Another gelding we like at a similar price is the Stuart Edmunds trained Theclockisticking and this seven year old has been in hit and miss form, but is now a pound lower then his last winning mark and that brings him onto the shortlist. The next race of the day see's the first Grade 1 of the day with the Betway Mersey Novices Hurdle over 2 mile 4 furlongs and in this hot contest we have gone for Kateson. This Tom Lacey trained six year old is a very interesting gelding who showed smart bumper form at Aintree back in 2018 and has since taken well to hurdles. On his first two hurdles starts at Chepstow and Newbury he was an impressive winner of both contests and since stepping up to Graded company he has ran well in defeat and looks a nice each way angle for this race, especially with his third in the Grade 1 Challow Hurdle at Newbury two starts ago. The third race of the day in Liverpool on Grand National day see's the next Grade 1 contest in the Doom Bar Maghull Novices Chase and we have gone for Lalor. The fairytale story of the week would take place if this Kayley Woollacott trained seven year old went on to win the Grade 1 after the backstory of the female trainers husband passing away last year. However, Lalor made a great start to life over fences at Cheltenham winning the Arkle trial but when it came to the actual race at the festival it was a weak performance that saw him pulled up early. This flatter track is set to suit better and if getting back to his best form he really will be one to watch out for usually coming off the pace. The third and final Grade 1 contest of the Afternoon on Merseyside see's the Ryanair Stayers Hurdle over 3 miles 1/2 furlong and we have gone for the Nicky Henderson trained William Henry. This nine year old is a very interesting prospect for a top yard and comes into this race off the back of a superb performance at the Cheltenham festival, when getting up in the final stages to land the Grade 3 Coral Cup. That form sets a good standard in this race and although it was over 2 mile 5f it looks like the step up to three miles will suit him down to the ground and should have perfect conditions for a step up in Grade. A day that is full of Graded racing see's the Grade 3 Betway Handicap Chase over 3 mile 1 furlong and in this decent field of runners we have gone for Debece and Some Buckle. We will start with the Tim Vaughan trained Debece who comes into this contest in some leading form winning his last two novice chases at Newcastle and Catterick and going in search of the hat-trick on Saturday. He has twice ran well at this meeting over hurdles and it would not be a shock to see him do the same over fences. The other fancy in this race at a bigger price and suggested at an each way angle is the Richard Bandey trained 10 year old who had his first run back in the Brown Advisory Plate at Cheltenham after being off for 11 months. He finished an average ninth that day but hopefully being fitter for the run can cause a shock at big odds. 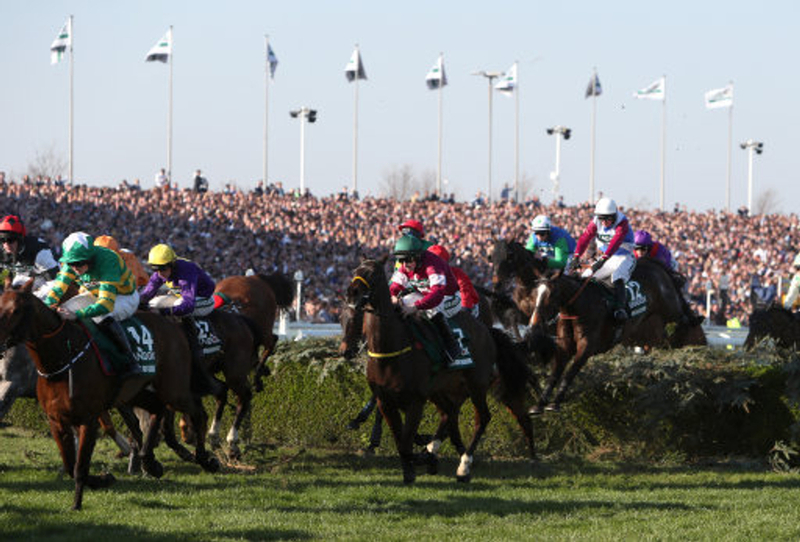 The big race across the three days, the feature contest of the year for punters, jockeys, trainers and horses see's the 2019 Grand National and in this 40 runner field we have three selections. The first is last year's winner of this race Tiger Roll who was superb at this meeting last year but this term he has been even better, winning a Grade Two hurdle at Navan as preparation race for Cheltenham before he he went on to land his fourth winner at the festival when winning the Cross Country chase for the second year running, this time by a massive 22 lengths. He could go off as the shortest price favourite in the last one-hundred years and rightfully so as he is just like a fine wine that has got better with age, certainly the one to beat. However, this is a Grand National after all and when looking at the bigger prices we have got last year's second to Tiger Roll Pleasant company who has not looked the same horse this year but will definitely stay the trip and could be saving his best run of the season for this contest. The final selection in this contest see's the big outside chance from trainer Colin Tizzard with Ultragold. He excels over these fences winning the Topham last year and finishing third in the Becher Chase this season. Stamina is a doubt but is an interesting each way angle. The final race of the festival is the Class 2 Pinsent Masons Handicap Hurdle for Conditional and Amateur Jockeys and we have gone for the Gordon Elliott trained Chief Justice. This four year old gelding started the season off well in Ireland with two wins and then again in December he landed a Juvenile Hurdle at Fairyhouse. Since then he finished fifth behind the late Sir Erec in a Grade 1 at Leopardstown and then did not give his best at the Cheltenham festival in the Fred Winter Hurdle. If getting back to his early season form he could play a huge part in this tough contest.